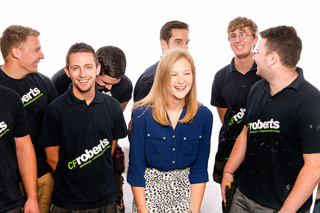 CF Roberts is currently working on a new and improved careers section to deliver a better applicant experience. David Nutt on recruitment@cfroberts.co.uk or 01242 571100. We have always led the way in apprenticeships, giving talented and ambitious young people from all backgrounds the chance to realise their full potential. It’s exactly how our Managing Director Ian Henderson and almost all our senior managers first started out, so we mean what we say and we like to ‘grow our own’. Currently we have around seventy apprentices all developing their personal and technical skills and taking apprenticeships in either Electro Technical Installation or Plumbing and Heating. You learn with us and through our unique bespoke courses and special relationship with training providers. But we give you much more than a professional qualification. We think it is just as important for you to learn about our customers and our suppliers, their challenges and brand values, to acquire broader client specific skills and to learn how to be an effective and successful member of a big supportive team. important that you actually enjoy learning and coming to work. 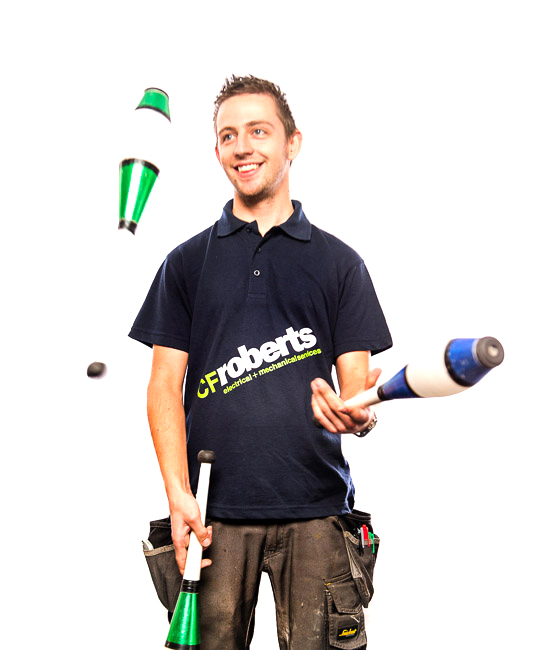 At CF Roberts you will. keen to be part of our team and to grow with us.